Tue., Nov. 7, 2017, 4:42 p.m.
Just in time, the West Valley girls soccer team has found its groove. Two weeks ago, the Eagles had won just five out of 14 matches and were coming off a loss to last-place Pullman. Three clutch wins later, Shelli Totton’s team is in the State 2A playoffs and hosting a first-round match on Wednesday against Lynden. “The key was just believing that we can actually win,” said Totton, who’s seen it all in 20 years coaching the Eagles. This year, West Valley has experienced outrageous fortune at both ends of the pendulum. It began with smoky skies that forced several postponed matches, five of which were made up in 10 days. “We got beat up a little bit, but then we got it together,” said Totton, who saw her team beat all four of its Great Northern League rivals in early October by a combined score of 16-7. Then came a three-game slump and a fourth-place GNL finish that left the Eagles in loser-out mode the rest of the way. A 3-0 romp over Cheney was followed by scintillating wins over Clarkston (4-3) and East Valley (5-4) that put West Valley in the state tournament. Down 3-2 to their rivals, the Eagles scored three straight goals in 10 minutes to grab a two-goal lead. “The playoffs reiterated that we’re a good team,” Totton said. Up front it starts with forwards Chelsea Koker and midfielder Frankie Schade, who have 14 and 13 goals, respectively. They’ve also combined for six goals in the last two playoff matches. The Eagles also have seven assists from Abby McConnell and some big plays from Maddie McLaughlin. Midfielder Alyssa Amann, an all-GNL pick last year as a freshman, “is the heart of our team because she plays so hard,” said Totton, who also relies on Akylah Beitey and Baylee Trejo, who played with a broken nose earlier this season. In the back, the Eagles can count on sisters Taylor and Madison Maloney, plus Miranda Scott and Mead transfer Brenna Warner. Senior goalkeeper Kellie Fitzpatrick has 85 saves and three shutouts. 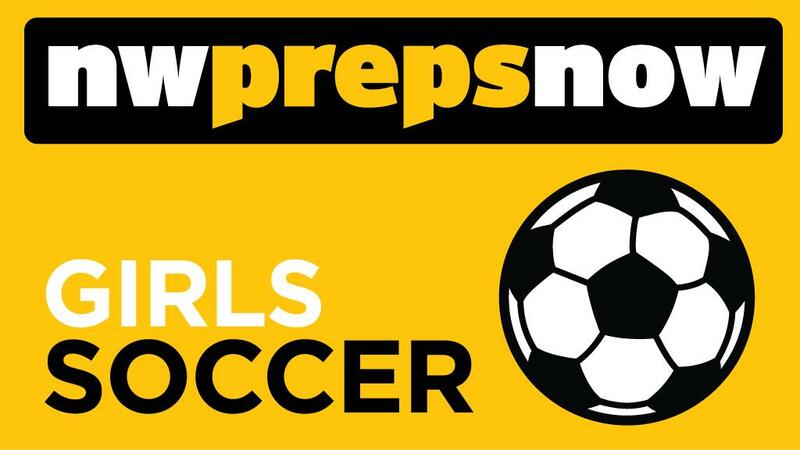 In another Wednesday opener, Clarkston (12-5) of the GNL will travel to Vancouver to play Columbia River at 6 p.m.
Soccer fans will get their fill Wednesday at Spokane Falls Community College with a pair of State 4A first-round playoff games. In the 4 p.m. opener, unbeaten Central Valley (15-0) will host Sumner (10-2-2), the third-place team from the South Puget Sound League. The Bears – the top-ranked team in the state – are coming off a 4-0 win Monday over rival University in the regional title match, which also was played at SFCC. CV has outscored three playoff opponents by a combined 11-2 and has given up just nine goals all season. The Sumner Spartans are on a three-match winning streak and have outscored opponents 28-6. At 6:30, University (9-7) takes on West Valley (Yakima). The Titans had won three straight postseason games before falling to CV. West Valley (10-5-2) finished second in the Columbia Basin League with a 9-3 record. The Rams have outscored opponents 59-12, but 39 of those goals came against struggling squads from Eisenhower and Sunnyside. Winners will play Friday or Saturday for a berth in next week’s semifinals in Puyallup. Published: Nov. 7, 2017, 4:42 p.m.